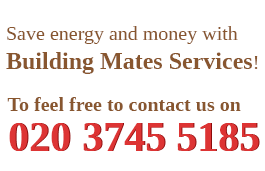 BuildingMates provides variety of building services in London including conservatory construction. We have rich experience in constructing conservatories. If you want to have some sun or garden rooms built and attached to your house, we can offer you our professional conservatory construction services. They can be used during the whole year for different purposes. Your conservatory will be designed and built to meet your requirements and according to the budget you have available. After estimating its price and giving you an idea of the approximate amount you will have to pay for it, our team of planning, designing and building specialists will start work in a time, convenient to you. 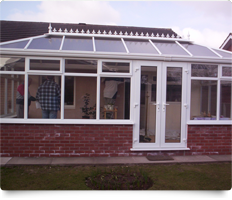 Order our trustworthy services to have the conservatory construction you need. They are provided in London seven days in the week. You will have a lot of choices to make when planning your conservatory. Our staff will build your conservatories exactly as you want it, paying attention to every detail. You can have double glazed conservatories, more traditional all-glass, Edwardian, L-shaped, Victorian, P-shaped, or whatever style suits your home. We use aluminium, timber and steel to construct your conservatories and can combine these materials the way our customers have appointed. You will be free to choose what type of windows you want. Our company provides appropriate heating and cooling systems. You can regulate the temperature in your conservatory. 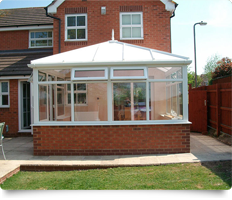 Your conservatories can be designed and built in a way that they will serve you for different purposes. You will be free to choose the materials of each element of your conservatory, as well as its overall style. Whether a traditional or some other design is more suitable for you, our staff can implement it. We can offer you double glazing, manual, motorized and Low E-glass options for your windows. The door types you can choose from are bi-fold, sliding and French. The floor type, cooling and heating system are also our customers’ decision. You can regulate the temperature in your conservatory, using our modern systems for heating and temperature control. Use our reliable services, providing contemporary conservatory construction in London, London from Monday to Sunday.